Fellow marketeers, you might want to remember the name, Hannah Hightman. This 17-year-old high school junior may just be the next marketing prodigy. Hannah shot to fame by selling KFC clever media ad space in a high school yearbook! Young people these days are all glued to their mobile phone screens. They don’t read newspapers or magazines and so it’s become difficult to reach them through print advertising. But there’s one print publication that you know they are going to pore over obsessively, and that’s their high school yearbook. Hannah had the brilliant idea to sell ad space in her Thomas Downey High School yearbook to help offset the production cost of the yearbook. However, her school in Modesto passed on the idea, and so she offered the idea to Bear Creek High School, where her mom teaches biology. “When her school wasn’t interested, her mom suggested it to our team and I brought it to my editors … After all her hard work Hannah didn’t want it to go to waste. It just so happened that the theme this year was ‘Out of the Blue,’ ” yearbook advisor Joyce Dedini said. “Yearbooks are a really a great place to advertise, especially in the portrait section. Kids are already looking there anyway so if they see something out of place that’s going to stick in their head and they’ll probably remember that,” Hannah said. Hannah reached out to advertisers through their agencies and made the breakthrough with KFC through its ad agency, Wieden + Kennedy. They liked her idea and helped facilitate the request with KFC. “We were impressed by the idea and her tenacity, and were happy to help her make it happen,” Eric Baldwin, executive creative director at W+K Portland, explains. 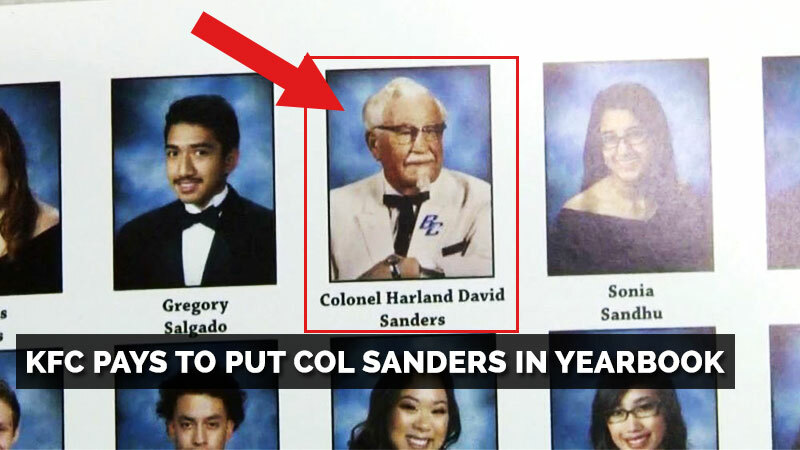 Turns out, Col Sanders wasn’t the only familiar face in the yearbook. Hannah also included a bunch of other celebrity photos in the yearbook —Will Smith, Lady Gaga, Hillary Clinton, Barack Obama, Donald Trump, 30 celebs in all! Getting permission to use the celebrity photos in the yearbook took months of legwork and phone calls. 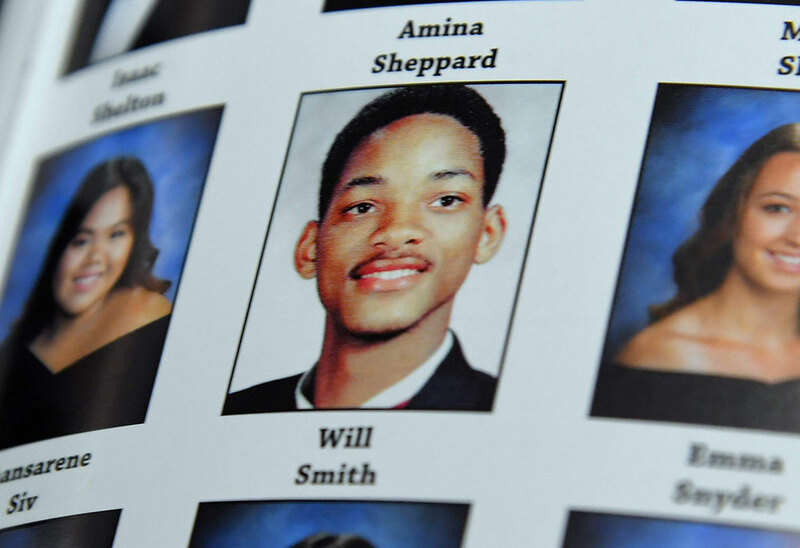 Hannah discovered that one person owns the rights to a library of celebrity yearbook photos. She contacted the person and received permission to include these pictures in the yearbook. “My name is Aaron Lucas and I’m next to George Lucas, so actually it was pretty dope,” said one student Aaron Lucas. After Hannah got permission to use the images, she then went on to contact the ad agencies. She hit the jackpot when KFC agreed to pay for the Colonel to appear in the yearbook, in his signature pose wearing a Bear Creek lapel pin. Yearbook editor Nisreen Sharideh says, “Plenty of my friends and just people who have opened up to that section their first thought was like ‘Oh my god”. Nick Crawford, another yearbook editor adds, “As I like explained to one of my friends, his name is Nico, He is like, why is Chris Rock in the book. I said did you look at the theme? He goes no, what’s the theme, it’s out of the blue, it’s random. He goes oh that’s cool”. Well, there’s no doubt that the grads of Bear Creek class of 2017 will have something special to remember: graduating with a group of celebrities… sort of. 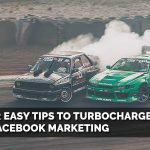 Marketing genius or marketing gimmick? Let us know your thoughts!